The SNES Classic Edition, just like the original released in the 1990s, comes with 2 wired controllers. Some of you may feel that playing with wired controllers is a bit of a hassle, and prefer a wireless solution instead. In this feature, we’ll take a look at the various wireless controllers that are compatible with the SNES Classic Edition. Each controller is special and unique in their own way. Note: Throughout this article we’ve prepared product links to both Amazon US and Amazon Japan. All items listed here are eligible for international shipping. 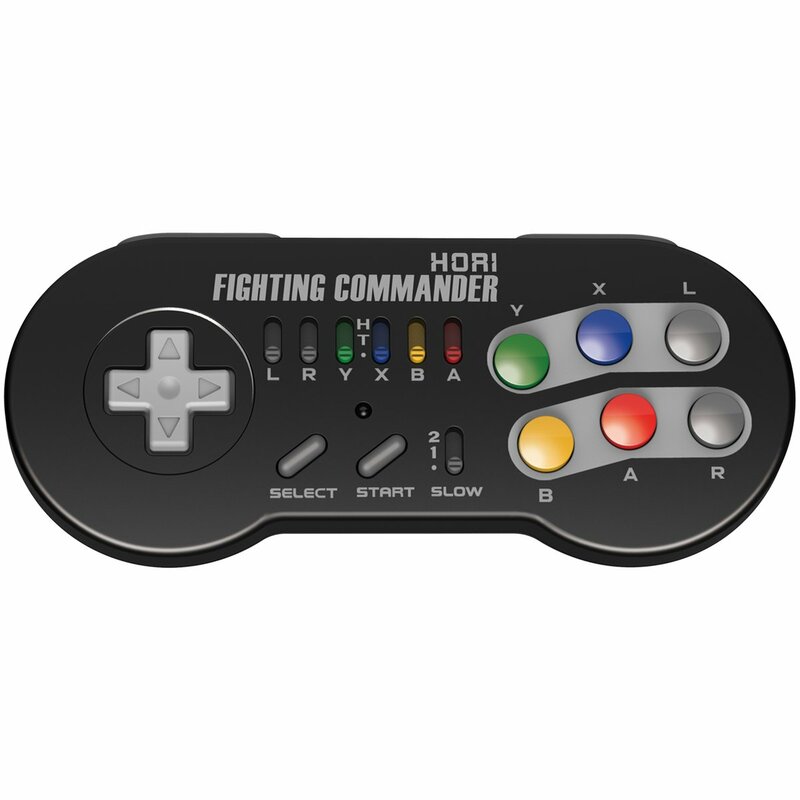 First up we have HORI’s Fighting Commander wireless controller. The Fighting Commander controller was originally released two decades ago, with Slow-mo and Turbo features. It’s now back in wireless form! 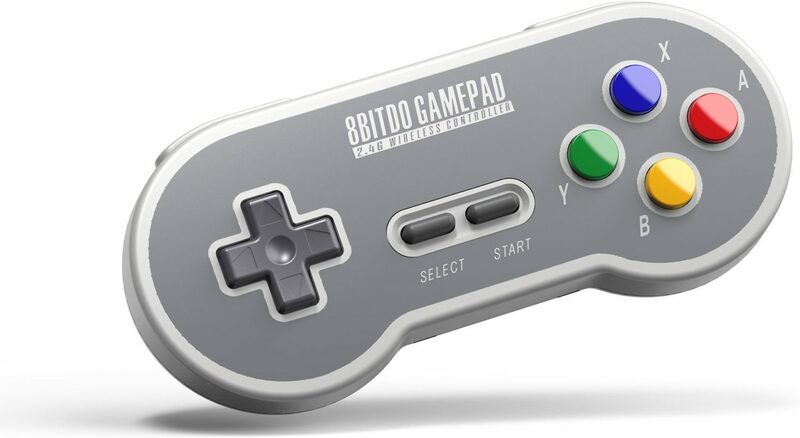 Now here’s a look at two impressive wireless controllers from 8bitdo. 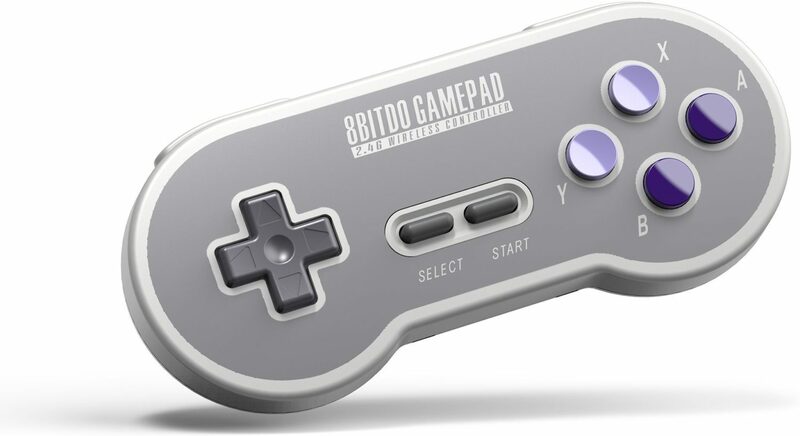 While 8bitdo’s wireless controllers don’t come with much bells and whistles, both controllers have a rechargeable battery unlike the rest of the other brands. The controllers come in either the purple or rainbow color scheme. Next up is the Nyko Super Miniboss Wireless Controller. This controller has the same exact buttons as the original SNES Controller, but with an added Turbo function. 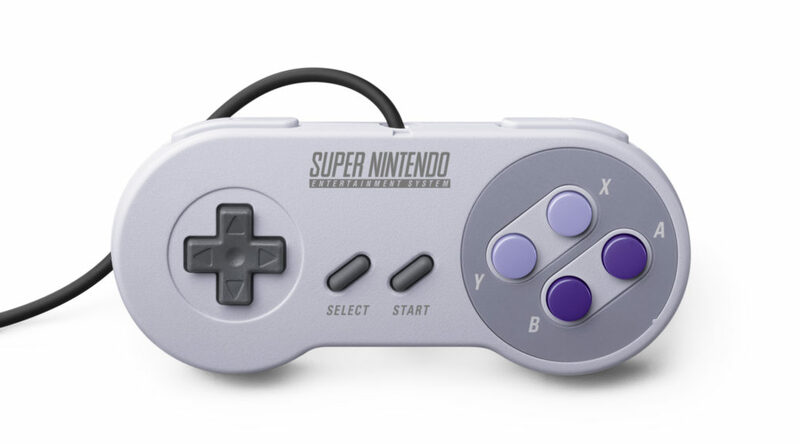 It features the same color scheme as the American SNES controller. You can play up to 20 feet away from the wireless dongle. Last but not least is Ortz Gaming’s Turbo Classic Edition controller. 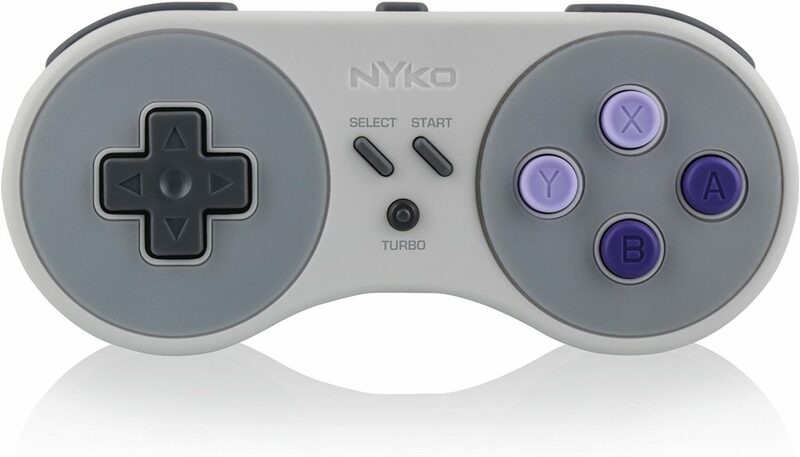 Similar to Nyko’s controller, it’s packed in with a Turbo function and has the same button configuration as the original SNES controller. However it’s designed after the European/Japanese SNES controller color scheme, so if you prefer the rainbow colors this may be for you. So, which wireless controllers have you decided to get? Let us know in the comments below!